This was my second day out hillwalking since giving birth to Cooper, four months ago. 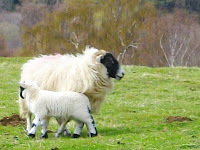 It was lovely to be out and about with Graham and my hillwalking friends on such a lovely day (ie. no rain), enjoying the fresh air and wonderful Scottish views. 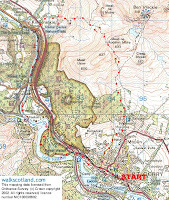 We set off from the centre of Pitlochry and walked into the hills and back for nearly seven hours. 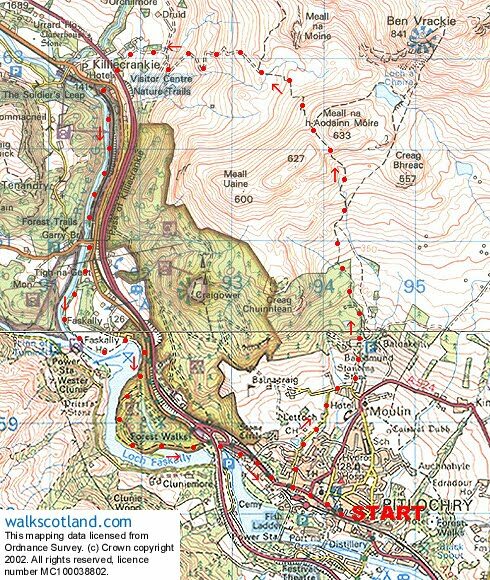 The walk runs from Pitlochry uphill across heather moorland to Killiecrankie. It is supposed to be a 10 mile walk, but I would say nearer 15, taking into consideration how long it took us. The walk up was quite steep and hard work, so we were grateful to stop for lunch. My friend Andrew and I always do a lunch swap. It keeps us on our toes, thinking of something interesting to share. I baked chewy flapjack cookies (recipe to follow) for us to munch on as we walked and I decided to make sandwiches for lunch. Lovely fresh bread, overflowing with seeds, spread with a generous slather of horseradish sauce, topped with juicy slices of portabello mushroom, fried in a little butter (or marg) and seasoned with salt and pepper. A layer of sliced ripe and creamy avocado, tossed lightly in some freshly squeezed lemon juice (to prevent it from browning) and a handful of fresh, green, baby spinach leaves for crunch. Nom, nom!! Andrew provided us with wraps. Seeded tortilla wraps spread with a blend of cream cheese and pesto and filled with potato and carrot roasted in olive oil, lime juice, soy sauce and balsamic vinegar, topped with salad leaves and carefully rolled. The flavours were gorgeous, in fact my mouth is watering just thinking of it. Mmmmmmm! We were all very hot after the walk up, but you do cool down very quickly and there was a light flurry of snow to hurry us along. 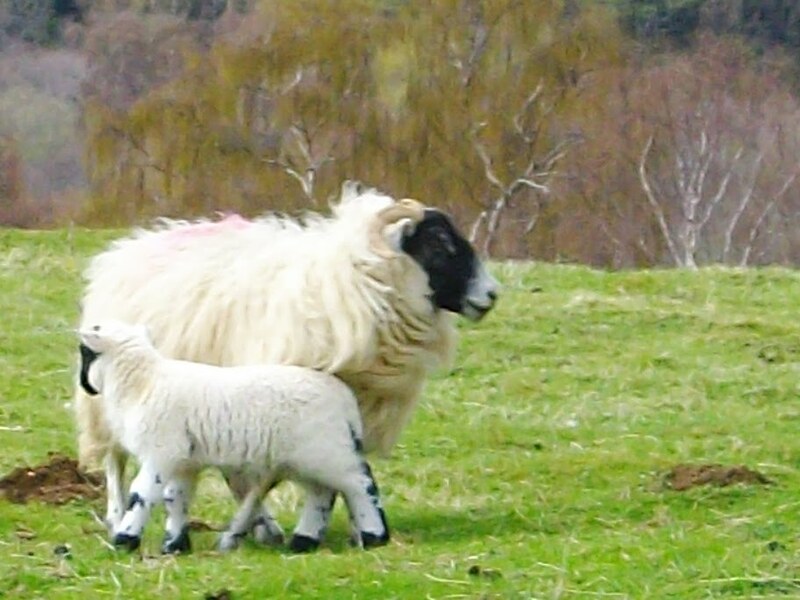 The walk down is always more pleasant than the trek up and this time it was shared with lots of cute little lambs fiercely protected by their mothers. Then it was a long walk through woodlands by a river and back into Pitlochry. A dumping of gear into cars and a much appreciated comfy seat in a pub. Yay that the rain stayed away, but where on earth did that flurry of snow come from?!. I totally agree the best part of hill walking it the walk down and the rewarding grub, even more delicious if made with friends in mind. Your right about the little lambs being protected by their Mamas. I noted this too at the weekend. Thank you for sharing these beautiful vistas of your corner of the world Jacqueline. I used to have one of tose back carriers to carry L'il Burnt Toast in when I went hiking in the mountains. Wow Jacqueline, that certainly was a trek! Fabulous photos. 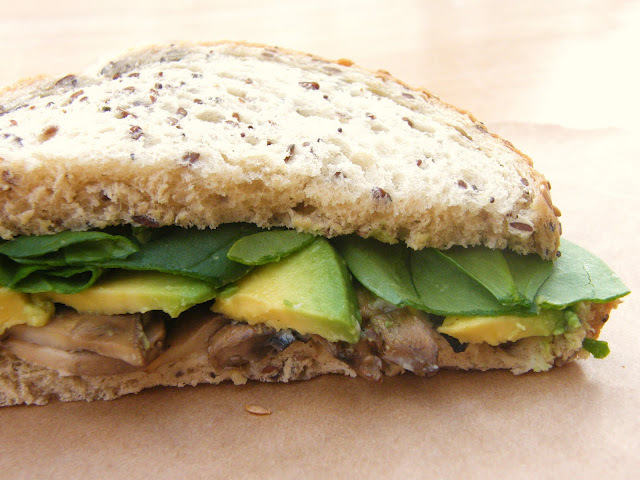 Your sandwiches sound amazing, just the right thing to get you through your walk. The wraps sounded delicious too -glad you had a lovely day. It was just a teeny flurry of snow Mangocheeks, we probably just got it because we were quite high up. It didn't last for more than a few minutes. I don't have one of those Val, but I am thinking of trying one, not for hillwalking though. I wouldn't dare. I meant to say Lucie. Sorry about that, my fingers were on autopilot while I was listening to Cooper and Graham talking gobbledegoop to each other. Beautiful photos!! The sandwich has me drooling - I am loving that bread. nom, nom indeed, fresh air creates such an appetite! What amazing views and beautifully snapped. Where did that 4 months go? That looks brilliant, what a fabulous place to go walking! Sounds like a wonderful day - both food and scenery wise. Wow - worth the steep climb for the views, and the lunch! Beautiful shots of the countryside. A lunch swap, fabulous idea. Hey Johanna Cooper spent the day with his grandparents and much fun was had by all. Hi Alex, The views are always stunning, Scotland is a very beautiful country. I feel lucky to live here (well, when it isn't pouring with rain that is). Wow, what amazing views! I can't wait to get some hill walking in, up here at our new place in Vermont, which at times reminds me a bit of Scotland - with all the mountains, greenery and mist. I always love outings like this - and having good snacks and lunch makes it all the better! And that sandwich looks sooooooooooooooo good, I could go one right now ... except that its maybe too early in the morning for horseradish. Funny that its never too early for chocolate though. What marvelous photos of your walk, Jacqueline! I felt as though I was right there with you. Not an easy hill walk, either. Living in flat Florida, it was fun to see. Now that sandwich can go anywhere! Even to the beach! Wow! Your hillwalking photos always give me pause (not that your food shots are shabby at all!). What awesome views! And the avocado sammich is making me drool. Wow that looks like an amazing walk! That very furry sheep is SO cute! And I love the stone wall around the house. That looks like a fabulous walk and must have been extra special for you as it's been so long. I would like to volunteer you (or you could take turns with Andrew if you like) to be my lunchtime sandwich maker????? What a tasty sandwich & what georgous pictures of your walk!! I don't think I would like to live on the flat Barbara, except when I am riding my bike, then it would be good, but I bet your beaches are to die for and then there is the glorious weather you enjoy *sigh*. There is a price to pay for these glorious views.